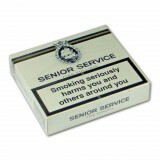 A pack of 20 Senior Service cigarettes. Non filter. ..